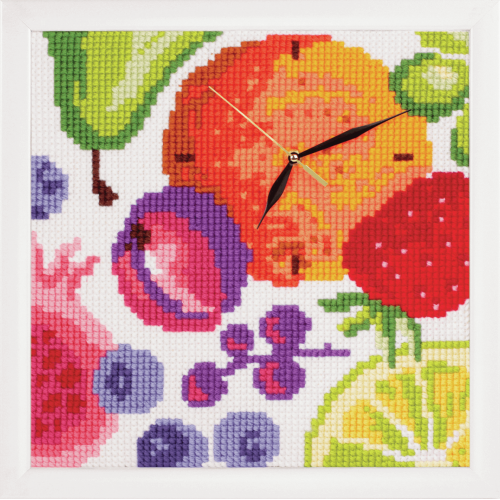 Trendy cross-stitch clockwork kit is quick and easy to stitch. Kit contains: superior colour screen-printed canvas of the highest quality; a gold-eye needle; 100% acrylic yarn which will not fray; detailed stitching instructions in 10 languages; a large colour picture of the completed design. 35 x 35cm.